NWS Fire Weather and Enhanced Data Display - The National Weather Service’s (NWS) Experimental Enhanced Data Display (EDD) fills a void that currently exists in the NWS. It provides our partners and customers a single interface to access all things GIS related in the NWS. EDD is an extremely powerful and flexible GIS web application. Before the development of EDD, users had to navigate to countless web pages to get at the information they desired. EDD puts this information in one place making it very easy to display and manipulate this data. EDD is hosted on the National Internet Dissemination System (NIDS) and was developed by the Weather Ready Nation Pilot Project in Charleston, WV. NWS Weather Prediction Center (WPC) - The WPC provides forecast products including quantitative precipitation forecasts and discussions, short-term and medium-range forecasts, and surface analysis. NWS Routine Fire Weather Forecasts - Updated generally twice a day, these narrative forecasts include a discussion of expected weather events, general weather parameters for the forecast zone over the next 48 hours, and an outlook summary for days 3-5. NWS Watches and Warnings - General site provides access point to different products with map emphasizing different watches and warnings. Issuance of a warning or watch implies stronger confidence levels in growth conditions between 12-96 hours ahead of an event. NWS Spot Weather Forecasts - This interface is intended to be used solely for the relay of forecast information to the National Weather Service. Submissions sent through this online form are intended for internal agency use. 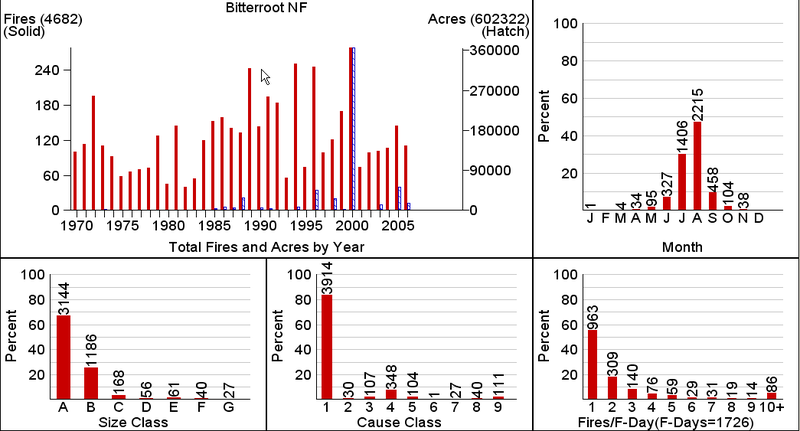 National Digital Forecast Database (NDFD) and Wildand Fire Assessment System NDFD Point Forecasts (CONUS Only) - The NWS's NDFD graphic products are derived from a prescribed set of data contained within the NDFD. These graphics are representations of the official NWS digital forecast. Forecast information for the Canadian portion of the Great Lakes is for informational purposes only and does not constitute an official forecast. In CONUS only, WFAS provides a tool that allows NDFD forecasts to be queried for individual latitude-longitude locations. NWS Storm Prediction Center - This Center provides timely and accurate forecasts and watches for severe thunderstorms and tornadoes over CONUS. The SPC also monitors hazardous winter weather and fire weather events across the U.S. and issues specific products for those hazards. NWS Climate Prediction Center Extended Outlooks - The Climate Prediction Center (CPC) is responsible for issuing seasonal climate outlook maps for 1-13 months in the future. In addition, the CPC issues extended range outlook maps for 6-10 and 8-14 days as well as several special outlooks, such as degree day, drought and soil moisture, and a forecast for daily ultraviolet (UV) radiation index. Many of the outlook maps have an accompanying technical discussion. NWS Climate Prediction Center Expert Assessments - Includes Hazards Assessment, ENSO update, and others. Climate Prediction Center (CPC) meteorologists and oceanographers review climate and weather observations and data along with model results and assess their meaning, significance, current status, and likely future climate impacts. Their findings are issued as assessments, advisories, special outlook discussions, and bulletins. Drought Outlooks and Seasonal Climate Forecasts - These forecasts show predicted trends for areas experiencing drought depicted in the U.S. Drought Monitor, as well as indicating areas where new droughts may develop. Ensemble weather modeling techniques have been developed which include multiple outputs or forecast members from the same deterministic model but perturbed or initialized with different observed conditions. 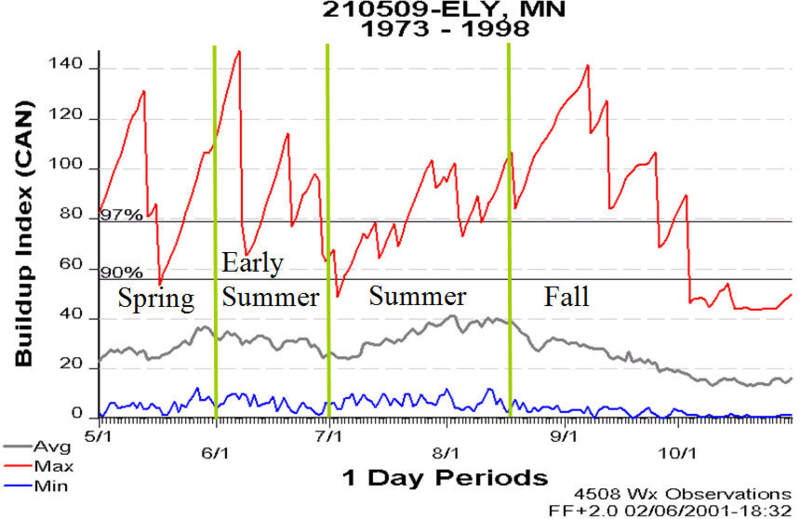 Forecast skill can increase the first two weeks of a forecast period using these ensemble modeling systems. Short-Range Ensemble Forecast (SREF) - The SPC Short-Range Ensemble Forecast (SREF) focuses on diagnostics relevant to the prediction of SPC mission-critical, high-impact, mesoscale weather including: thunderstorms and severe thunderstorms, large scale critical fire weather conditions, and mesoscale areas of hazardous winter weather. High-Resolution Rapid Refresh (HRRR) for Short-Term Forecasts - The HRRR is a NOAA real-time 3km resolution, hourly updated, cloud-resolving, convection-allowing atmospheric model, initialized by 3km grids with 3km radar assimilation. Radar data is assimilated in the HRRR every 15 min over a one-hour period adding further detail to that provided by the hourly data assimilation from the 13km radar-enhanced Rapid Refresh. North American Multi-Model Ensemble (NMME) for Long-Range Forecasts - The NMME is an experimental multi-model seasonal forecasting system consisting of coupled models from US modeling centers including NOAA/NCEP, NOAA/GFDL, IRI, NCAR, NASA, and Canada's CMC. The multi-model ensemble approach has proven extremely effective at quantifying prediction uncertainty due to uncertainty in model formulation, and has proven to produce better prediction quality (on average) than any single model ensemble. El Nino Southern Oscillation (ENSO) Irregular periodic variation in winds and sea surface temperature over tropical eastern Pacific. Warming phase is El Nino and cooling phase is La Nina. There is also an ENSO neutral condition. Deep thunderstorm development over the eastern equatorial Pacific will help alter the jet stream and make more moisture available for Pacific storm systems that impact the USA. Warm or cool phases combined with other climate drivers such as certain phases of the PDO can lead to higher confidence long term outlooks. Pacific Decadal Oscillation (PDO) A longer lived northern Pacific climate variability that has a negative and positive phase. The jet stream will tend to dip further south over the western United States under a positive phase and move further north under a negative phase. Positive or negative phases to the PDO combined with other climate drivers such as ENSO conditions can lead to higher confidence long term outlooks. Pacific Meridional Model (PMM) Describes the interaction between ENSO and PDO teleconnections and has a negative and positive phase. Determining positive or negative phases of the PMM may help resolve the Spring Barrier issue and ENSO prediction. This should help lead to higher confidence outlooks originating during months of April through June. Modoki Alternation in normal La Nina and El Nino SST patterns across the tropical Pacific thus disrupting typical teleconnection patterns. 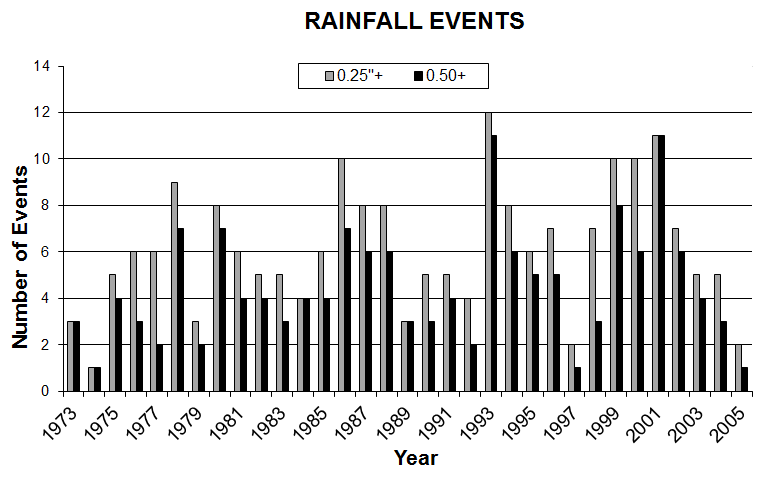 “This isn’t your grandfather’s El Nino”. Confidence becomes varied and can be less depending on other coupled ocean-atmosphere phenomena. Madden Julian Oscillation (MJO) MJO is a tropical disturbance that propagates eastward around the global tropics with a cycle on the order of 30 to 60 days. They typically are most active during late fall, winter and early spring period. MJO can influence ENSO tendencies. Active MJO’s can increase forecast confidence for certain weather anomalies across USA. Aleutian Low Strength of the Aleutian low combined with PMM modes can accentuate or dampen MJO impacts on the jet stream position and storm track across western USA. Confidence of an active storm track across western US increases when the Aleutian low is stronger than average and combines with a positive PMM and a MJO is present. 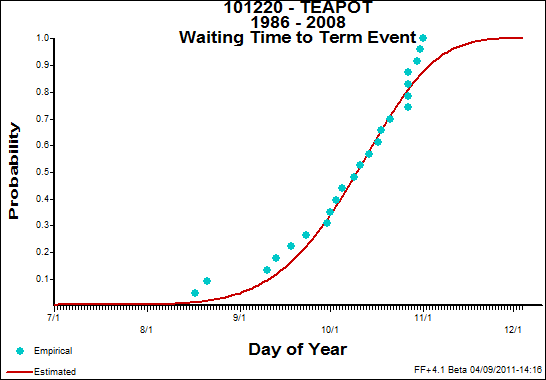 The typical Confidence Horizon for an application requiring forecast information with "Very High" confidence/accuracy is about three days. What is critical is that there are frequent shifts in this relationship that both expand and contract the amount of time that "Very High" skill is available, thus changing the Confidence Horizon. This is especially helpful when choosing the appropriate analysis tool in WFDSS (Near-term, Short-term or FS Pro) or applying the weather forecast within them. The concept is also helpful when placing explanations in the analysis or incident notes section of WFDSS. The atmosphere is chaotic but sometimes there is rhythm in the chaos. Climate outlook scientists study coupled oceanic and atmospheric forcing mechanisms like the El Nino Southern Oscillation (ENSO) cycle and Madden Julian Oscillation (MJO). 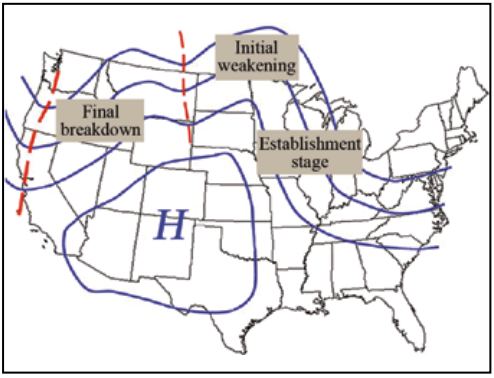 These forcing mechanisms are tied to several teleconnection or long range-long term correlated weather patterns that determine meteorological impacts across North America. Forecast skill typically goes up (i.e., rhythm in the chaos) in the mid and long term when certain forcing mechanisms and teleconnection patterns align, thus adjusting the normal Confidence Horizon. Under these circumstances, a monthly or seasonal outlook can have Medium to sometimes High confidence for certain weather patterns such as warmer and drier conditions and sometimes frequent wind events. This is a shift from Low to Very Low confidence under normal situations for longer-range forecasts. Other teleconnection alignments can lead to mixed atmospheric forcing signals, thus leading to unusually low confidence periods (i.e., conflicting rhythm). NWS Area Forecast Discussion - This NWS product is intended to provide a well-reasoned discussion of the meteorological thinking which went into the preparation of the Zone Forecast Product. The forecaster will try to focus on the most particular challenges of the forecast. The text will be written in plain language or in proper contractions. At the end of the discussion, there will be a list of all advisories, non-convective watches, and non-convective warnings. The term non-convective refers to weather that is not caused by thunderstorms. An intermediate Area Forecast Discussion will be issued when either significant forecast updates are being made or if interesting weather is expected to occur. Anderson, H. E., Aids to Determining Fuel Models for Estimating Fire Behavior, U.S. Department of Agriculture, Forest Service, Intermountain Forest and Range Experiment Station, 1982. Andrews, Patricia L., BehavePlus Fire Modeling System, Version 5.0: Variables, Department of Agriculture, Forest Service, Rocky Mountain Research Station, 2009. Bradshaw, Larry S., Deeming, John E., Burgan, Robert E., Cohen, Jack D., The 1978 National Fire-Danger Rating System: Technical Documentation, U.S. Department of Agriculture, Forest Service, Intermountain Forest and Range Experiment Station, 1984. 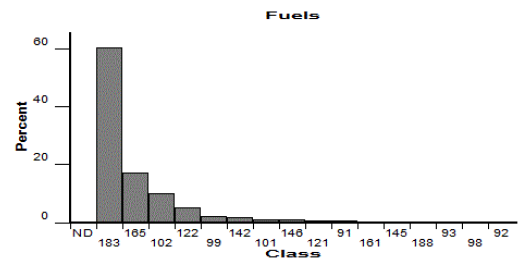 Burgan, Robert E., Concepts and Interpreted Examples in Advanced Fuel Modeling, U.S. Department of Agriculture, Forest Service, Intermountain Research Station, 1987. Keane, Robert E., Garner, Janice L., Schmidt, Kirsten M., Long, Donald G., Menakis, James P., Finney, Mark A., Development of Input Data Layers for the FARSITE Fire Growth Model for the Selway-Bitterroot Wilderness Complex, USA, U.S. Department of Agriculture, Forest Service, Rocky Mountain Research Station, 1998. Keane, R.E, Reinhardt, E.D., Scott, J., Gray, K., Reardon, J., Estimating Forest Canopy Bulk Density Using Six Indirect Methods, NRC Canada, 2005. Keane, Robert E.; Mincemoyer, Scott A.; Schmidt, Kirsten M.; Long, Donald G.; Garner, Janice L., Mapping vegetation and fuels for fire management on the Gila National Forest Complex, New Mexico, CD-ROM, U.S. Department of Agriculture, Forest Service, Rocky Mountain Research Station, 2000. Rothermel, R. C., A mathematical model for predicting fire spread in wildland fuels, U.S. Department of Agriculture, Forest Service, Intermountain Forest and Range Experiment Station, 1972. 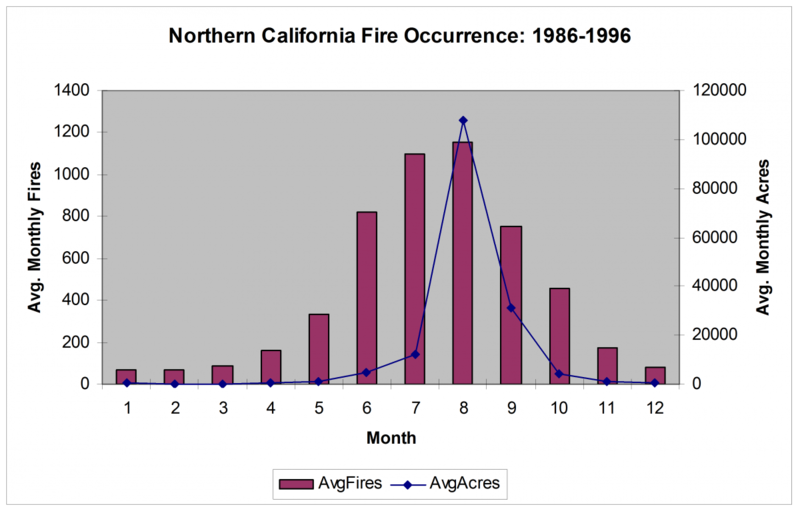 Rothermel, R. C., How to predict the spread and intensity of forest and range fires. Gen. Tech. Rep. INT-143. Ogden, UT: U.S. Department of Agriculture, Forest Service, Intermountain Forest and Range Experiment Station, 1983. Scott, J.H. and Reinhardt, E.D., Estimating Canopy Fuels in Conifer Forests, Forest Management Today. 62(4), 2002. Scott, Joe H.; Burgan, Robert E., Standard fire behavior fuel models: a comprehensive set for use with Rothermel’s surface fire spread model, U.S. Department of Agriculture, Forest Service, Rocky Mountain Research Station, 2005. Scott, Joe H., Nomographs for estimating surface fire behavior characteristics, U.S. Department of Agriculture, Forest Service, Rocky Mountain Research Station, 2007. 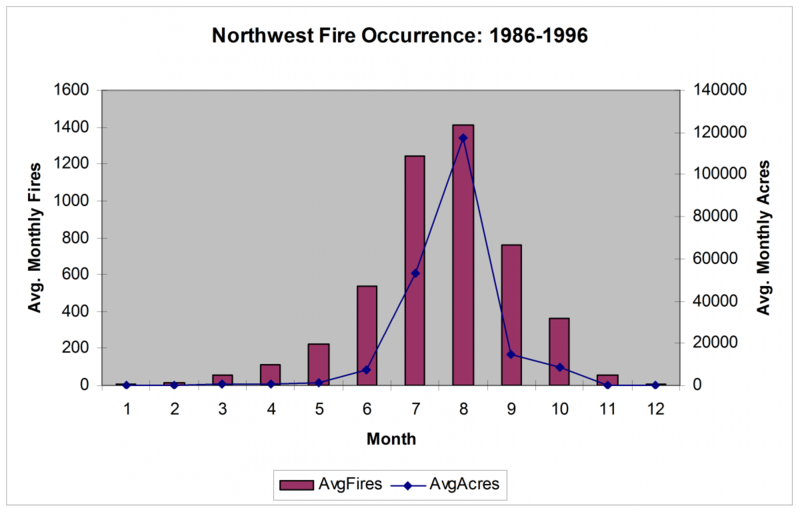 Agee, James K, Wright, Clinton S. Williamson, Nathan, and Huff, Mark H.; Foliar Moisture Content of Pacific Northwest Vegetation and its Relation to Wildland Fire Behavior; Forest Ecology and Management, 2002. Burgan, R.E., Estimating live fuel moisture for the 1978 National Fire Danger Rating System—1978, USDA Forest Service. Research Paper, 1979. Burgan, R.E. ; Hartford, R.A., Monitoring vegetation greenness with satellite data, United States Department of Agriculture, Forest Service, Intermountain Forest and Range Experiment Station, 1993. 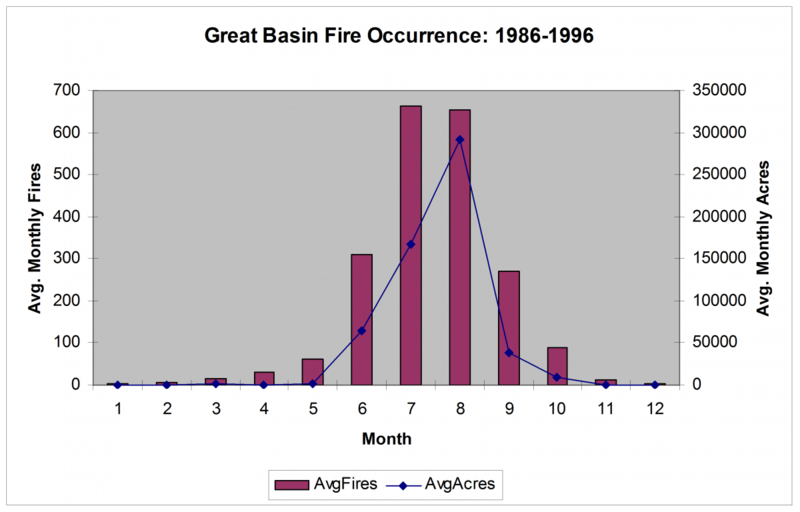 Burgan, Robert E.; Hartford, Roberta A.; Eidenshink, Jeffery C., Using NDVI to assess departure from average greenness and its relation to fire business, U.S. Department of Agriculture, Forest Service, Intermountain Research Station, 1996. Fosberg, M. A., and J. E. Deeming, Derivation of the 1- and 10-hour timelag fuel moisture calculations for fire-danger rating, USDA Forest Service, Rocky Mountain Forest and Range Experiment Station, 1971. Hirsch, Kelvin G., Canadian Forest Fire Behavior Prediction (FBP) System: User’s Guide, Canadian Forest Service Special Report, 1996. Jolly, William M., Nemani, R. and Running, S.W., A generalized, bioclimatic index to predict foliar phenology in response to climate, Global Change Biology 11(4), 2005. Jolly, W. Matt; Hadlow, Ann M.; Huguet, Kathleen, De-coupling seasonal changes in water content and dry matter to predict live conifer foliar moisture content, International Journal of Wildland Fire, 2014. Jolly, W. Matt, Hintz, J., Kropp, R., and Conrad, E., Physiological drivers of the live foliar moisture content ‘spring dip’ in Pinus resinosa and Pinus banksiana and their relationship to foliar flammability, International Conference on Forest Fire Research, 2014. 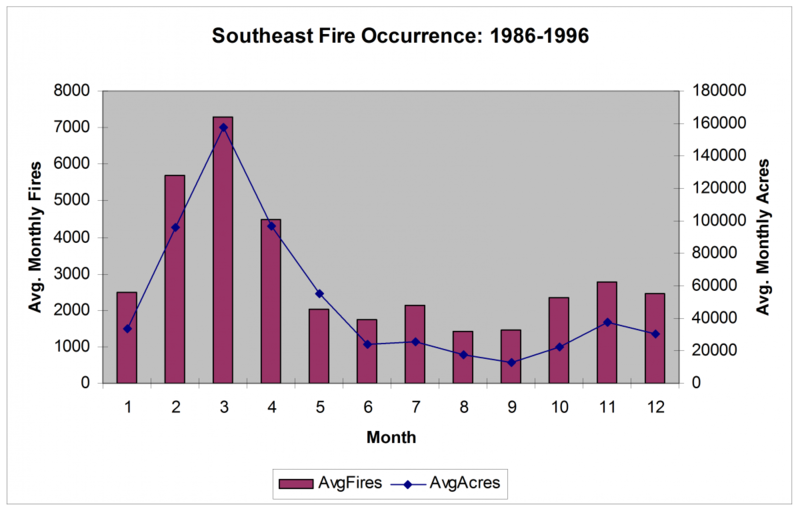 Jolly, W.M., Development of fine dead fuel moisture field references for the Southeastern United States: SimpleFFMC, USDA Forest Service RMRS Fire Sciences Laboratory, 2016. Norum, Rodney A.; Miller, Melanie, Measuring fuel moisture content in Alaska: standard methods and procedures, U.S. Department of Agriculture, Forest Service, Pacific Northwest Forest and Range Experiment Station, 1984. Rothermel, Richard C., How to predict the spread and intensity of forest and range fires, U.S. Department of Agriculture, Forest Service, Intermountain Forest and Range Experiment Station, 1983. Schlobohm, P. and Brain, J., Gaining an Understanding of the National Fire Danger Rating System, PMS 932/NFES 2665, National Wildfire Coordinating Group, 2002. Schroeder, Mark J., Ignition probability, USDA Forest Service, Rocky Mountain Forest and Range Experiment Station, 1969. 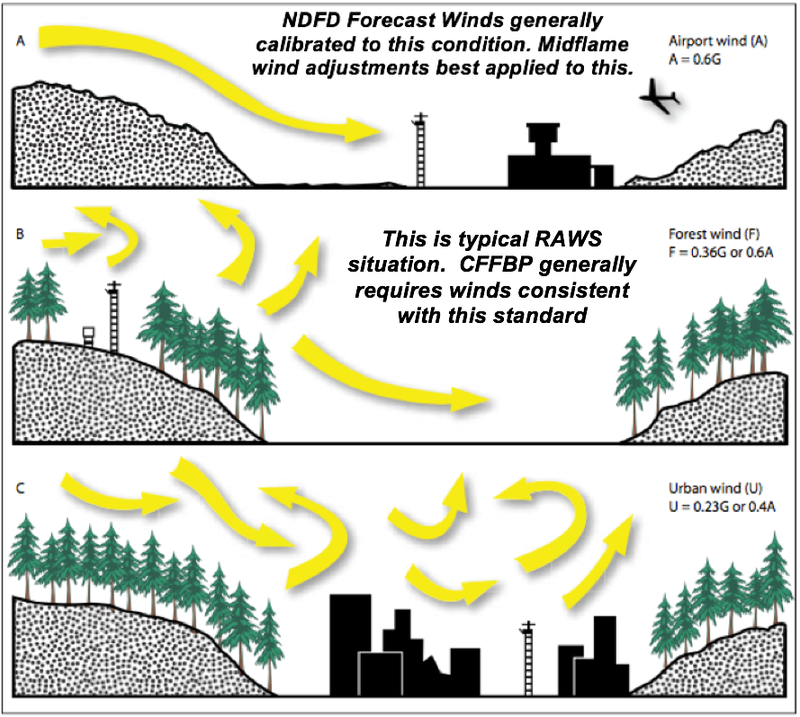 The Hot-Dry-Windy Index (HDW) was designed to help users determine which days are more likely to have adverse atmospheric conditions that make it more difficult to manage a wildland fire. 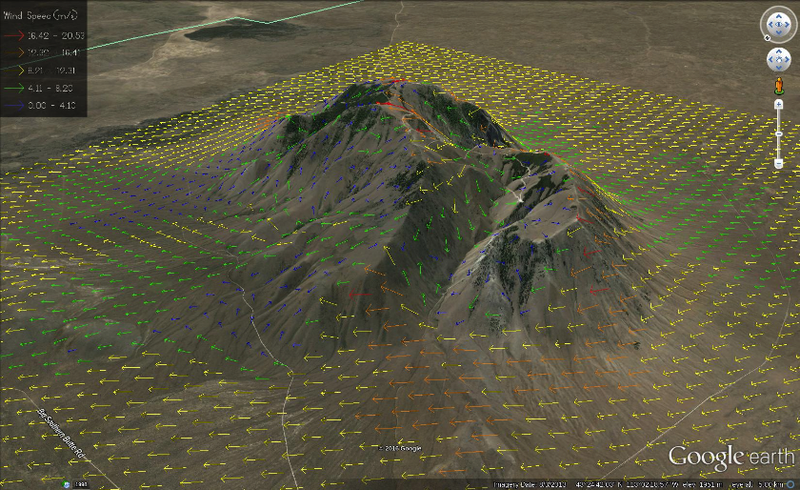 It combines weather data from the surface and low levels of the atmosphere into a first-look product. 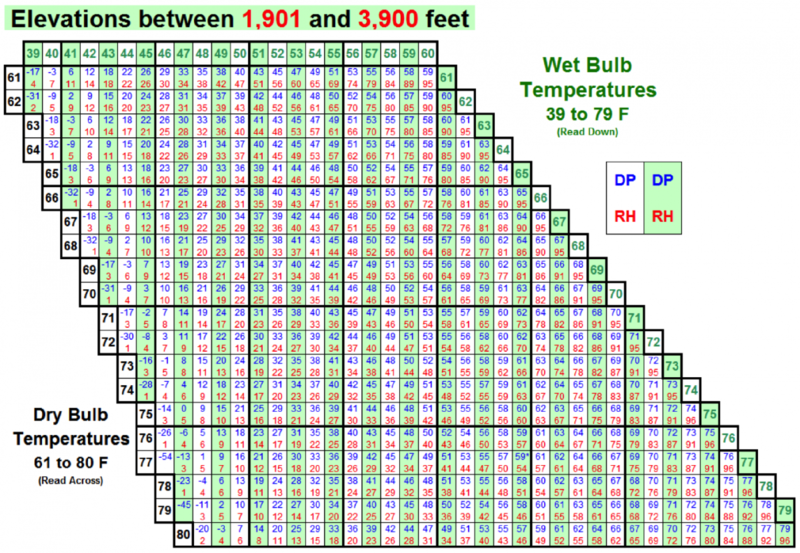 HDW was designed to be very simple – a multiplication of the maximum wind speed and maximum vapor pressure deficit (VPD) in the lowest 50 or so millibars in the atmosphere. 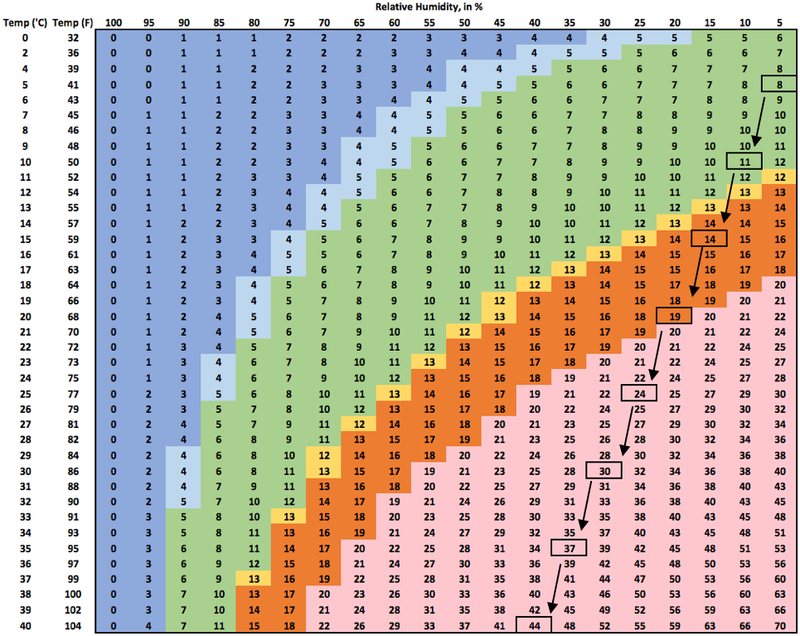 Because HDW is affected by heat, moisture, and wind, seasonal and regional variability can be found when comparing HDW values from different locations and times. 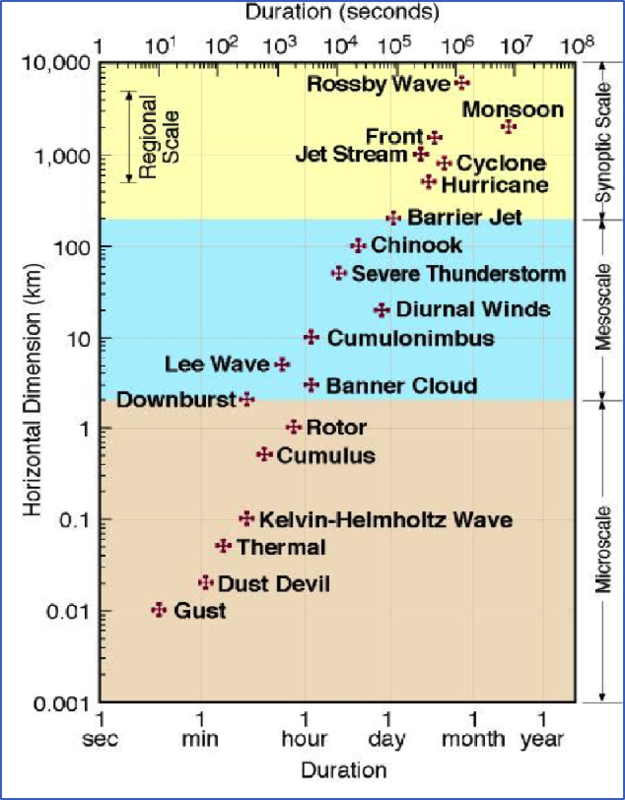 The four critical weather elements that produce extreme fire behavior are low relative humidity, strong surface wind, unstable air, and drought. The critical fire weather patterns that support these conditions can be separated into two primary categories: those that produce strong surface winds, and those that produce atmospheric instability. In both cases, an unusually dry airmass for the region and season must also occur. In brush and timber fuels, drought becomes an important precursor by increasing fuel availability. 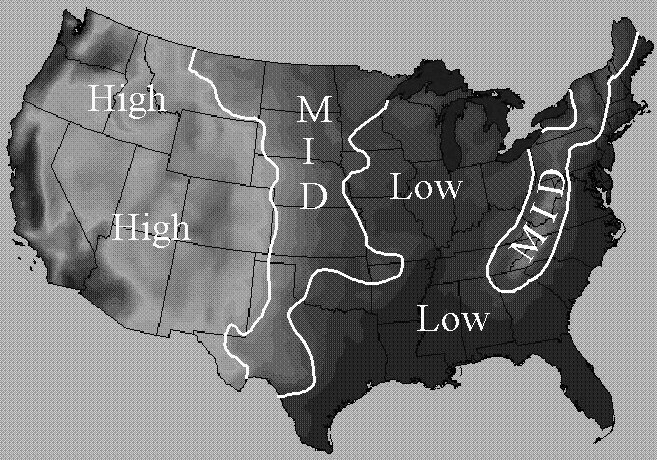 Most periods of critical fire weather occur in transition zones between high- and low-pressure systems, both at the surface and in the upper air. The surface pressure patterns of most concern are those associated with cold fronts and terrain-induced foehn winds. 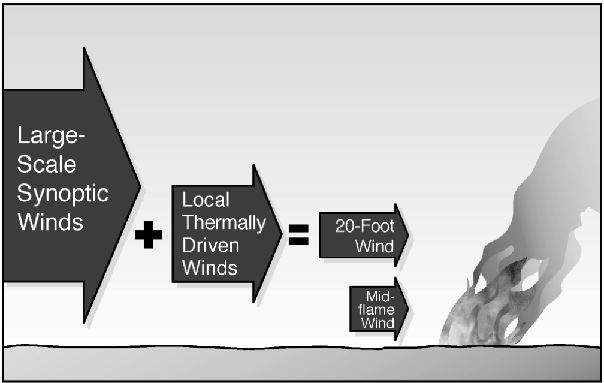 Cold front passages are important to firefighters because of strong, shifting winds, and unstable air that can enhance the smoke column or produce thunderstorms. Foehn winds occur on the lee side of mountain ranges and are typically very strong, often occurring suddenly with drastic warming and drying. 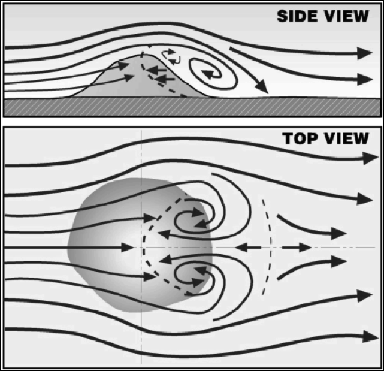 The area between the upper ridge and upper trough has the most critical upper air pattern because of unstable air and strong winds aloft that descend to ground level. 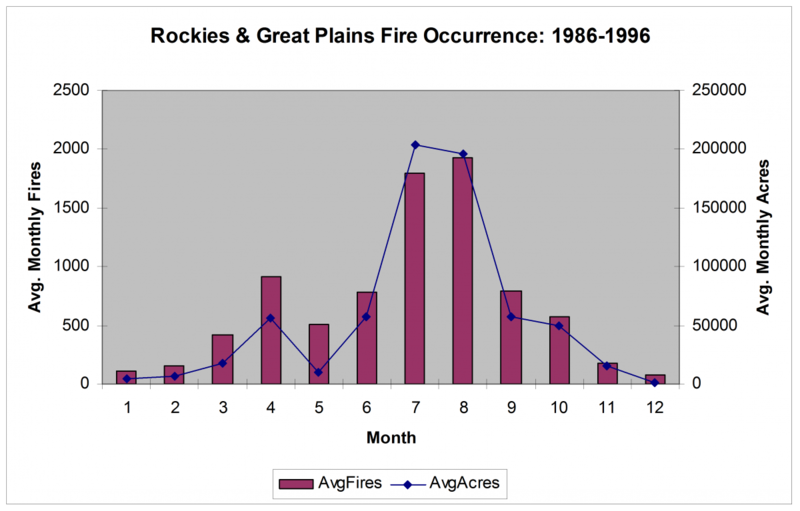 East of the Rocky Mountains, most critical fire weather patterns are associated with the periphery of high-pressure areas, particularly in the pre-frontal and post-frontal areas. In the northern plains, Great Lakes, and the northeastern US, pre-frontal high pressure from the Pacific, Northwestern Canada, and Hudson Bay all can produce very dry conditions. Cold fronts produce relatively short lived periods of high winds and instability that can produce extreme fire behavior. In the southeastern US, drought is frequently associated with the La Niña state of the southern oscillation pattern or a blocking ridge aloft near the Atlantic coast. Often critical weather patterns follow the frontal passage that brings extremely dry air due to a strong westerly or northwesterly flow. Look for strong winds that accompany the flow. Beware of advancing tropical storms as well. In the southwestern US, the breakdown of the upper ridge, before monsoons develop, is manifest at the surface with breezy, dry, unstable conditions that transition to potentially very windy conditions as it finally breaks down. During transition to the monsoon pattern, shallow monsoons can produce gusty wind, low RH, and lightning without much precipitation. In the Rocky Mountain and Intermountain Regions, the most significant pattern is the upper ridge-surface thermal trough that produces a dry and windy surface cold front. Along the eastern slopes of the Rocky Mountains, weather patterns producing Chinook winds bring strong downslope winds that are unusually dry and warm. 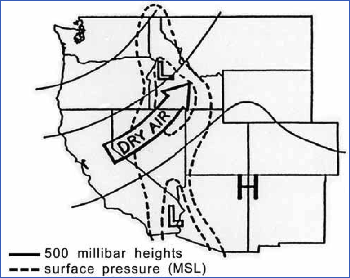 In the intermountain west, critical fire weather is associated with upper troughs and overhead jet streams, or surface dry cold front passages. Along the Pacific Coast, from Washington to California, weather patterns producing offshore flow or foehn wind are the most important. In the Pacific Northwest, the east wind produces strong winds and dry air west of the cascades. The upper ridge breakdown is similar to that described for the rocky mountain & interior west. In California, the most important are the north and mono winds of north & central regions and the Santa Ana and sundowner winds of southern California. The subtropical high aloft bring heat waves. In Alaska, the primary pattern is the breakdown of the upper ridge with a southwest flow. It can bring gusty winds and dry lightning to the interior of Alaska after a period of hot, dry weather. These are key words and catch phrases meteorologists typically use to describe critical fire weather growing and slowing patterns. 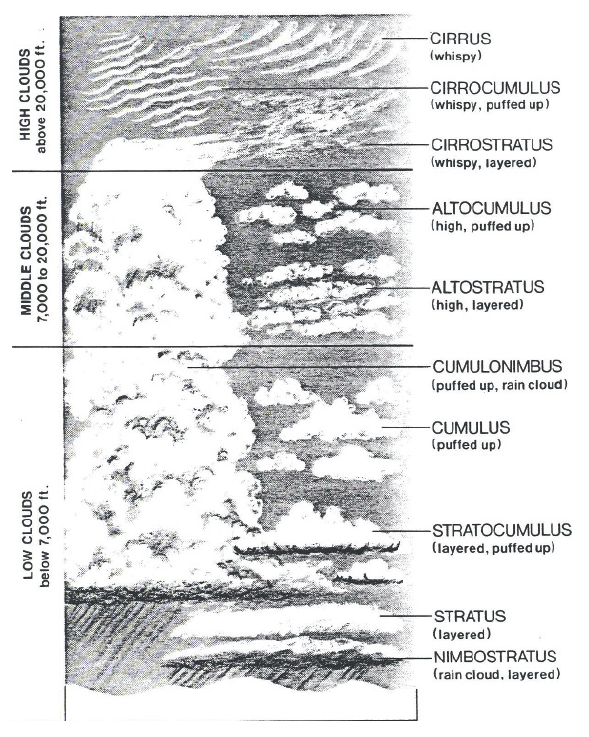 These terms will often be used to explain weather patterns but are not exclusively used. The terminology will often be found in National Weather Service Area Forecast Discussion (AFD) and fire weather planning forecast discussions as well as predictive service 7-day outlook assessments. First stage represents warmer-drier-breezy and unstable conditions. 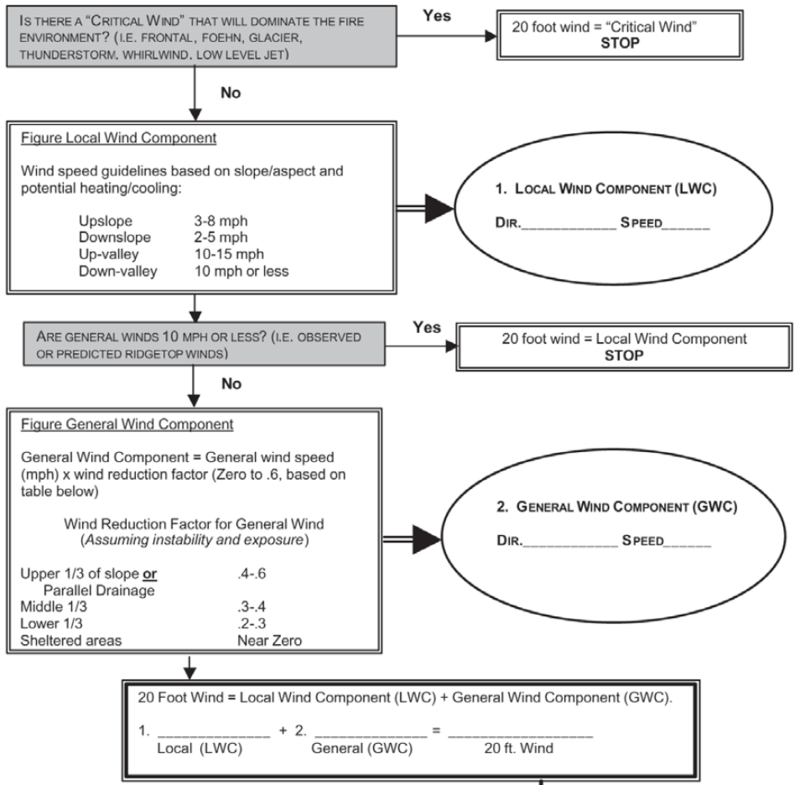 Second stage wind speeds will increase while conditions remain warm-dry and unstable. Third stage is defined by a cold frontal passage. 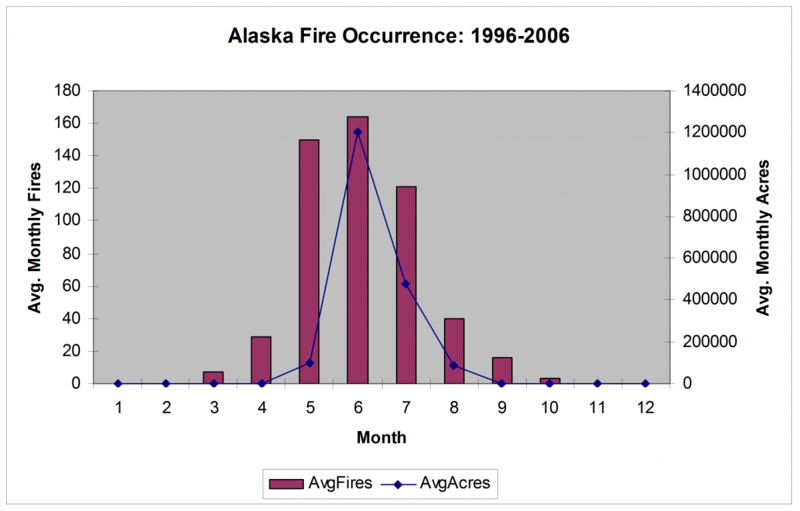 Significant fire growth across the west and Alaska can be tied to all three stages but occurs most frequently during the second stage. 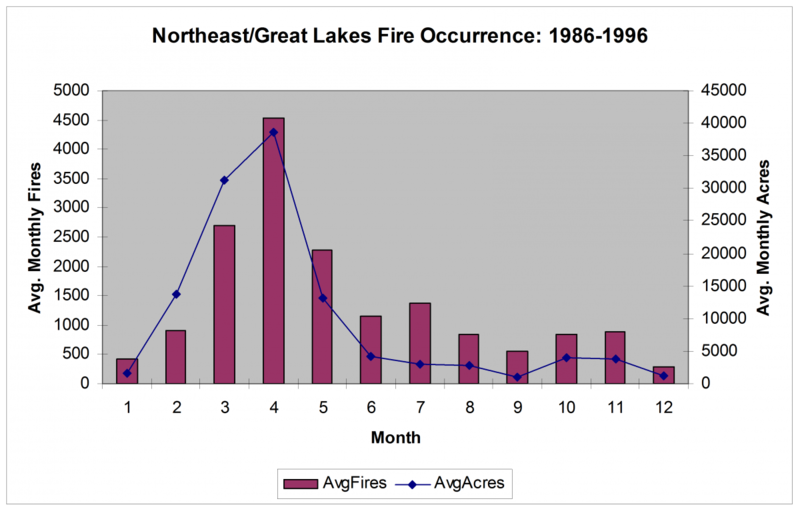 Significant fire growth across the east is primarily related to post-cold frontal conditions or the third stage, but can occur during the second stage. Analysis of locations for fire growth with respect to cold frontal passage and generally breakdown of high pressure ridge. CFA is after the cold front passage, CFB is before cold front passage, WSL is warm sector of Low, and WS is warm sector of departing High. Foehn or downslope wind events have many regional names. 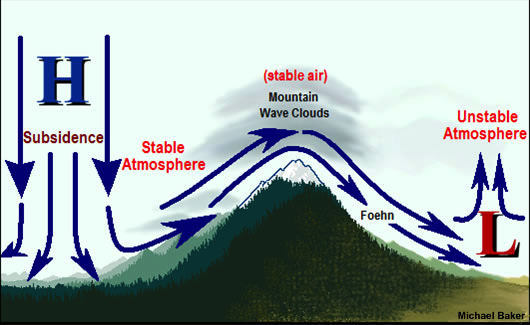 You might recall that foehn or downslope winds are caused by air-forced over mountain ranges and through mountain passes in association with stable conditions. Common examples are Santa Ana and Chinook winds. 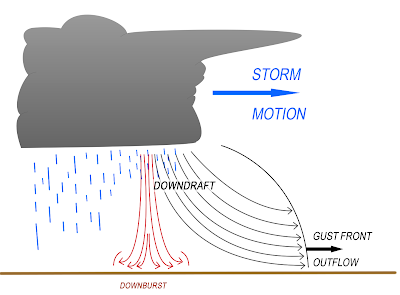 Thunderstorms in the vicinity of a fire have the potential to produce outflow gust fronts or downbursts, regardless of whether the updraft is fed by the fire, or not. Any evidence of precipitation means the storm has developed to the point where it can produce these types of winds, as well as lightning. Rain at the ground or virga is a potential warning sign. 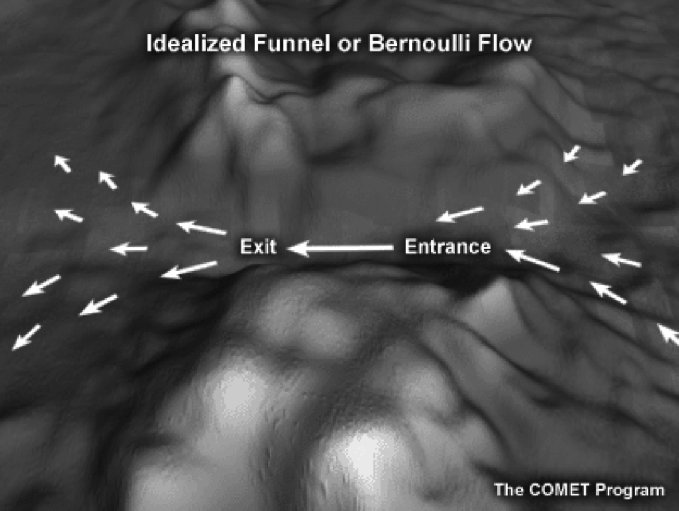 Outflow gust fronts are winds radiating outward but primarily in the direction of storm motion, from the base of the convection. They are present in all well-developed convection and last tens of minutes to an hour or more. They can travel tens to hundreds of kilometers. Downbursts are much less common, shorter lived, and affect a much smaller area. 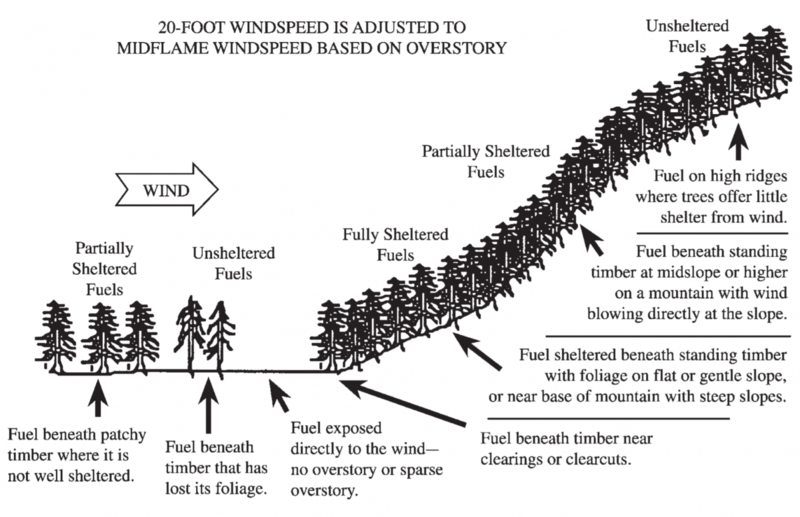 Either type of wind has the potential to abruptly change the speed and direction of fire spread. 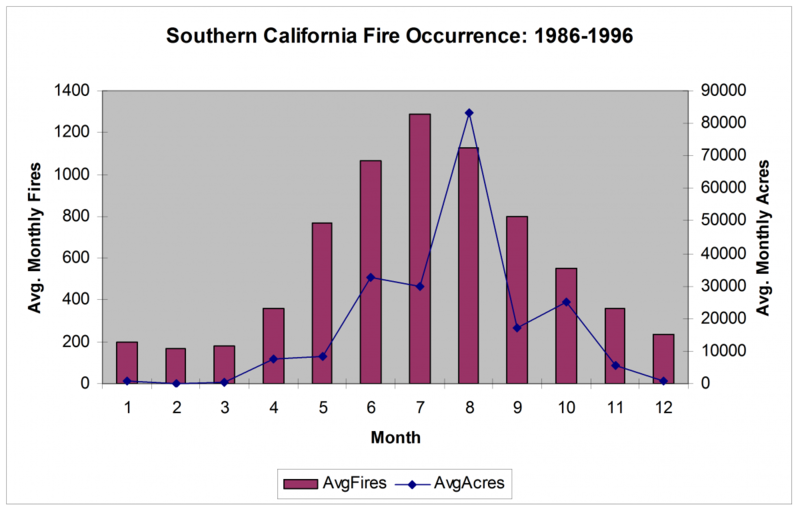 Sea breeze or sea breeze fronts can bring gusty, shifting winds and changes in humidity and stability that can drive fire behavior along coastal regions. 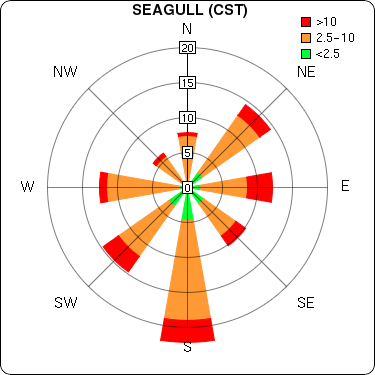 The few hours leading up to the onset of the sea breeze are the warmest and driest and coincide with increasing wind speeds and unstable conditions. Following the passage of the sea breeze front, conditions will become cooler as well as more humid and stable. Sea breezes are more critical than land breezes because they occur during daylight hours. Tropical systems, including tropical storms and hurricanes, produce an area of relatively warm, dry, and windy conditions around their northern and western periphery as they move ashore. 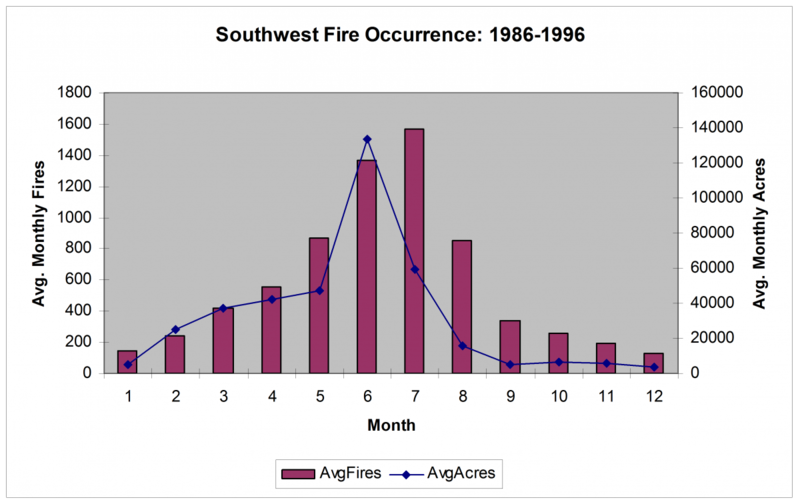 Critical fire growth periods are also tied to hot, dry, and unstable weather patterns. These patterns are generally tied to an upper ridge and a strong mid-level dry intrusion. 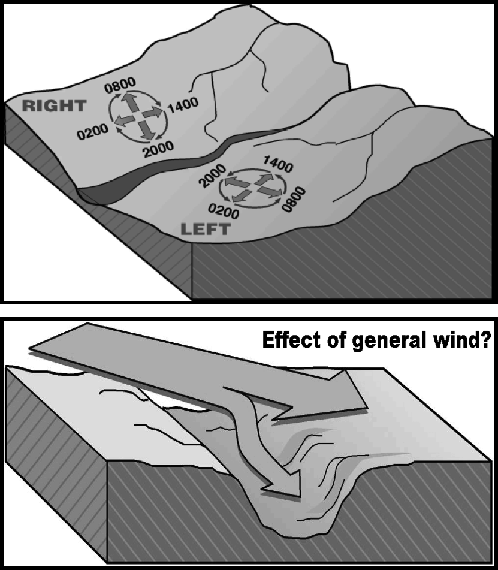 The upper ridge and dry intrusion are ingredients that oftentimes set up the breakdown of the upper ridge pattern. A strong heat bubble combined with unusual mixing will create above normal temperatures, sometimes a heat wave, and very low day and nighttime humidity values. The unusual mixing is caused by an unstable atmosphere related to the heat bubble. Thermal lows can develop near the surface and help concentrate this instability. 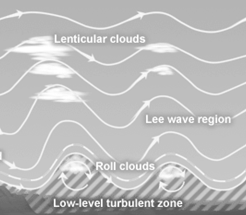 The hot, dry, and unstable weather pattern is typically related to the subtropical or Bermuda high. Subtropical highs typically impact the western half of the US and Bermuda highs the eastern half. On rare occasions the highs will coalesce and create a super high which can impact large portions of the country. There are three primary reasons why geographical areas experience fire slowing and/or fire stopping periods; they are related to partial or whole-scale change in the weather and fuel regime. Such change includes partial green-up or fuel moistening promoted by periods of precipitation. Such change also includes temporary changes such as a cool, moist, stable weather regime replacing hot, dry, and unstable conditions during a multi-day period. Understand that the fire slowing and/or fire stopping period represents a temporary change. The season-ending period is like the fire slowing period with the main differences being the degree of change in fuels and weather conditions and how long they persist. During the season-ending period, there is an overwhelming change to fuel conditions, such as long lasting green-up or a significant rise in larger sized fuel moisture values. For most geographical areas, there is not just one event that brings the season’s end. It is an accumulative effect of a few or several weather events. For example, the southwest monsoon develops during a span of several days to weeks and brings about a mosaic change to the live and dead fuels.